Barcelona is the capital and most populous city of Catalonia and the second largest city in Spain. It is located on the Mediterranean coast between the mouths of the rivers Llobregat and Bes?s, and is limited to the west by the Serra de Collserola ridge. 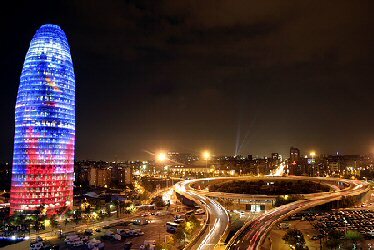 ; ; Barcelona is a major economic centre, with one of Europe s principal Mediterranean ports, and its airport is the second largest in Spain. Founded as a Roman city, Barcelona became the capital of the Counts of Barcelona and the Crown of Aragon. Besieged several times during its history, Barcelona is today an important cultural centre and a major tourist destination and has a rich cultural heritage. Particularly renowned are architectural works of Antoni Gaud? and Llu?s Dom?nech i Montaner that have been designated UNESCO World Heritage Sites.